The tools are not the same in characteristics. I sort out the different categories of software with some of its principal features. Hopefully, it will help you to choose the best Linux camera software for you. Let’s start briefing them one by one. Webcamoid is a simple and versatile webcam program for Linux users. This online tool is written in C++ and Qt. It provides a huge number of options by which you can configure it as per your needs. It is suitable for both the picture and video capture. Webcamoid has over 60 effects including blur, broken TV, cartoon, color filter, edge detection, pixelate, photocopy, oil paint, scan lines, and many more. It has a great feature of custom controls for the webcam. ZoneMinder is an open source Linux surveillance software specially developed for Linux platform. It is written in C++, Perl, and PHP. It is a set of applications that provide a complete surveillance solution for users. 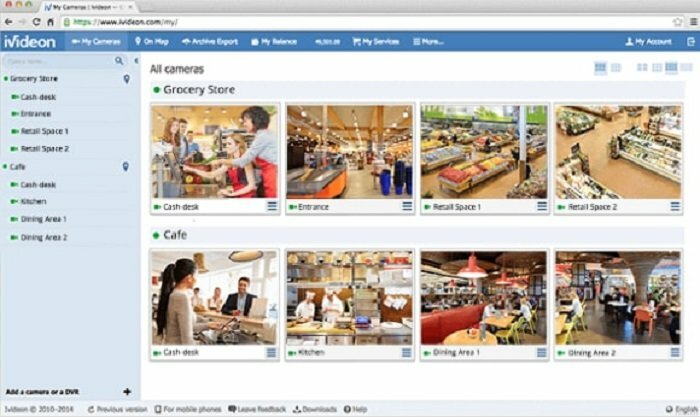 It allows you to capture, analysis, monitoring, and recording of CCTV or security cameras. It supports video, USB, and network cameras as well. It is among the Linux security camera software that can be used in commercial or personal purposes. Motion is an open source highly-functional webcam software that supports motion detection. It is able to process images from several types of cameras. It is mainly a command line based motion surveillance tool without having any graphical user interface. Motion has its own minimalist web server and can be controlled by a simple web interface. It has also the feature of automatic noise and threshold control. 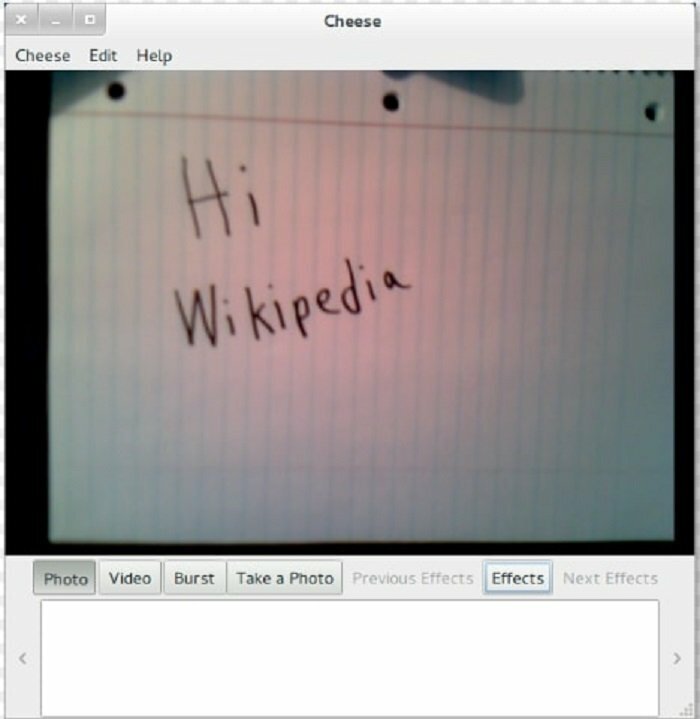 Cheese is another Linux camera software written in C and Vala programming language. It is a part of GNOME and licensed under GNU general public license. It can take images and videos as well. With the help of GStreamer, it can apply various graphical effects to its photos and videos. To work with this, it has to be compatible with the GStreamer Framework and Video4Linux. You can easily view, save, and delete a photo or video. Ekiga is a smart open-source Linux video surveillance software designed for both the GNOME and KDE desktop. It has a stunning graphical user-interface with free audio and video calls through the internet. Ekiga has high definition sound and video quality for its users. It has the feature of automatic video bandwidth limitation system. All the telephony features like call transfer, call hold, and call forwarding is also included with this video conferencing application. Kamoso is a Qt-based Linux webcam software from KDE community. It is an open source program that allows recording videos and capturing images from your webcam. Kamoso is written in C++ programming language. One of its characteristics is the ability to capture images rapidly without complexity. It is under the open-source license. It has a very user-friendly graphical interface and any user can easily handle this tool. Guvcview (GTK+UVC Viewer) is an open source Linux camera software developed in the year 2008 for the Linux enthusiasts. It has a user-friendly graphical interface and has the capabilities to capture and view videos by UVC driver. 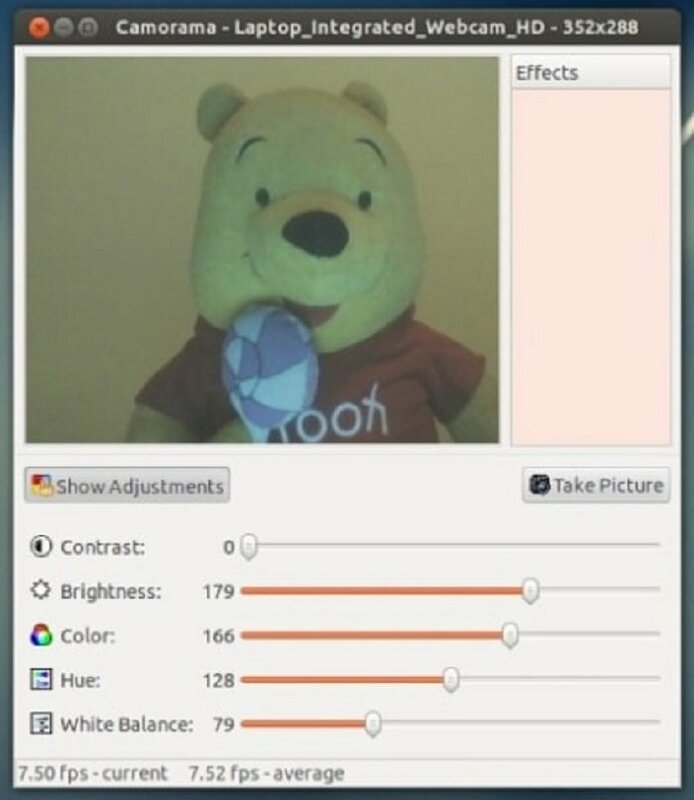 It is a GNOME standard webcam application which can be used as an alternative to another Linux webcam software Cheese. It is one of the easy to use software written in the C programming language. 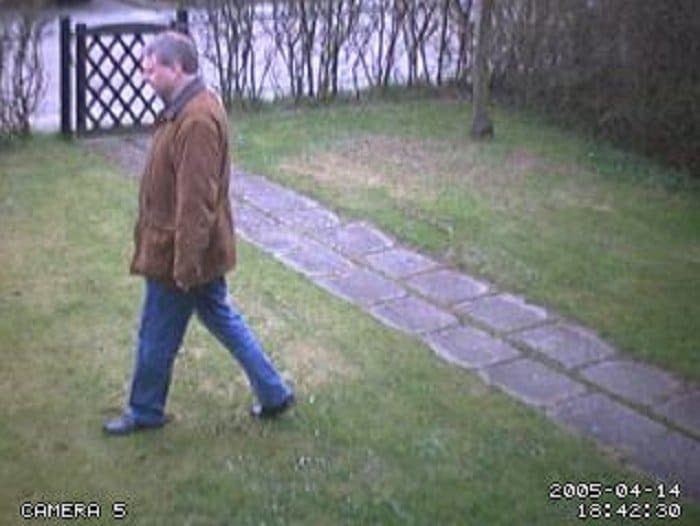 HasciiCam is another Linux video surveillance software to capture video. 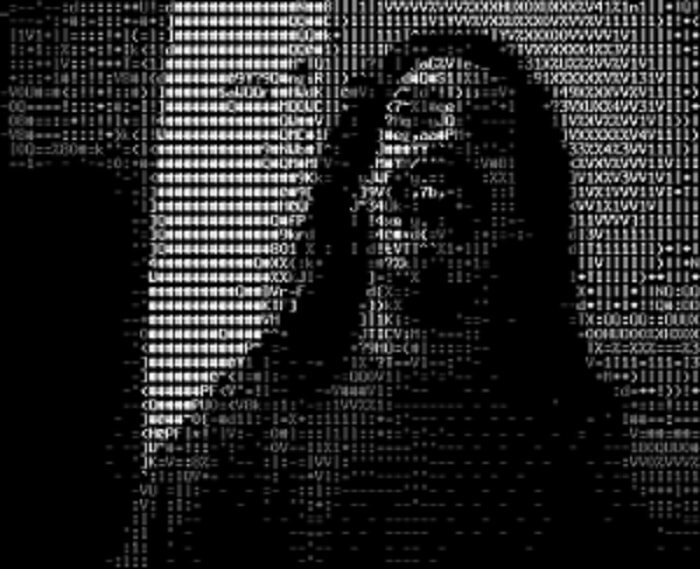 It captures video from a tv card and tenders in into ASCII letters. 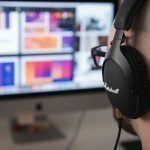 You don’t need extra applications or plugins to show the live video. It just needs a tv card, Linux box, and a modem. This online tool is written in C programming language and operated via command line. Another special feature of Hasciicam is the facility of live cam streaming at low bandwidth. Shinobi is an open source Linux CCTV software which can record both the IP and local cameras. It is written in Node.js. 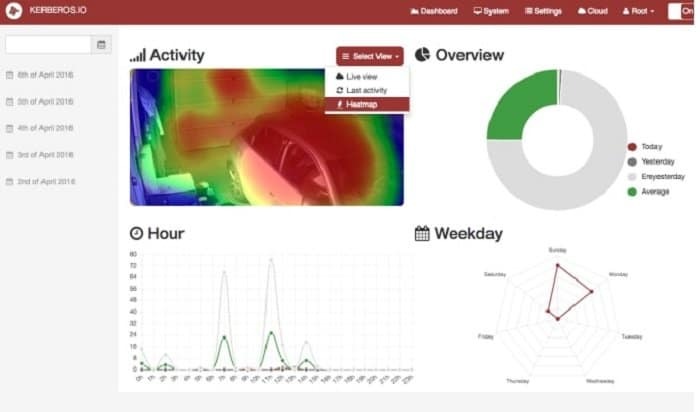 You can monitor viewing, editing, and deleting from your home with this tool easily. It has a time-lapse viewer with two-factor authentication. Shinobi can capture images from stream directly. Even in lower bandwidth, it can run smoothly. Camorama is another simple Linux webcam tool with many outstanding features. It can connect and record video files to a remote location. It has the capability of capturing images and can save it in both JPEG and PNG formats. 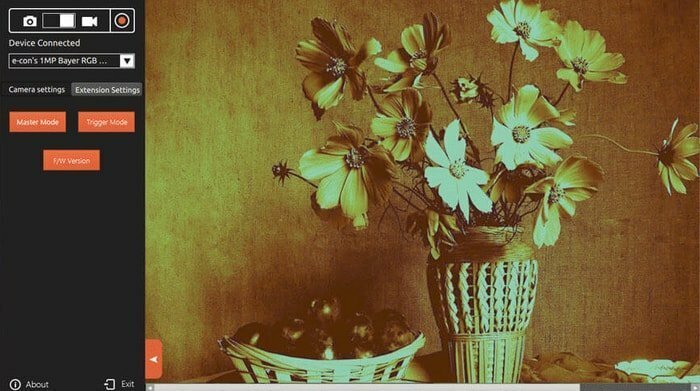 Camorama user can customize the white balance, brightness, and color. Though it only supports FTP, it has an FPS counter at the bottom of the interface. wxCam is a simple but helpful webcam software for Linux user. 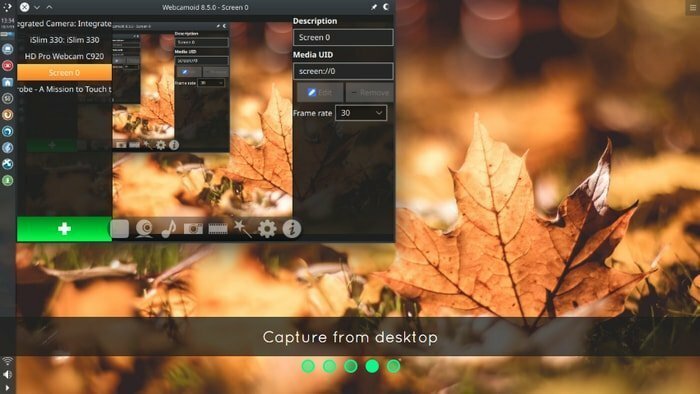 It offers to capture photos and video with Video4linux. It can save in several formats like JPEG, BMP, PNG, PCX, and XMP. wxCam allows its user to access different video effect like mirror mode, color correction mode, and monochrome. The recording of wxCam looks stunning and doesn’t let you put you in a crisis. It has also the ability to support tweak shutter speed FPS, and more. Adjust resolution, brightness, contrast, saturation, and gamma. Xeoma is another Linux security camera software with a simple interface and professional functions. This surveillance software offers a free version, trial version, and a commercial version as well for Linux users. Xeoma can run in almost all the operating systems including Windows, Linux, Mac OS, Android, and iOS. Its lite edition has basic functionality with 4 cameras and the standard edition provides all the possible benefits with unlimited use of modules. Bluecherry is an open source Linux video surveillance software which offers a complete solution for capturing video and images as well. You can also install Bluecherry on Ubuntu and Debian. It supports about 2800 IP cameras. You can use both the free and paid version of this tool. Before using the paid account, you can go through the trial version and justify it. Ivideon is an affordable Linux IP camera viewer with an advanced video surveillance system. It has millions of users around the world since the last 9 years of its development. It can be easily integrated with corporate management systems with the open source API. you will get the full control of creating users and also deleting them. With the help of Ivideon API, you can integrate the tool with third-party business apps. C-MOR is one of the popular tools that work as a Linux security camera software. It supports most of the Operating systems including Windows, Mac, iPhone, Android, and Linux. 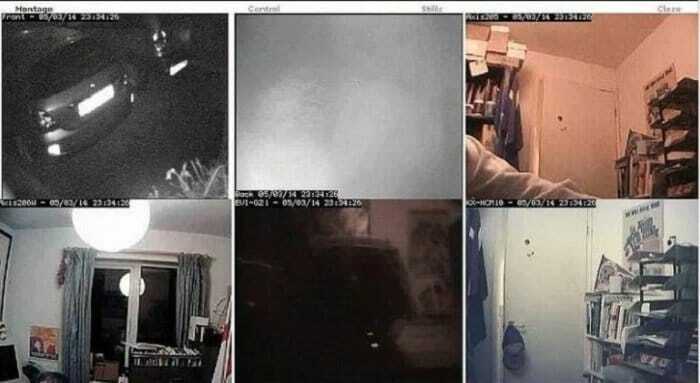 You can monitor this Linux IP camera viewer from home over a network or internet. As all the settings and options are already set up, you don’t need to install it on PC. That’s pretty cool, right? 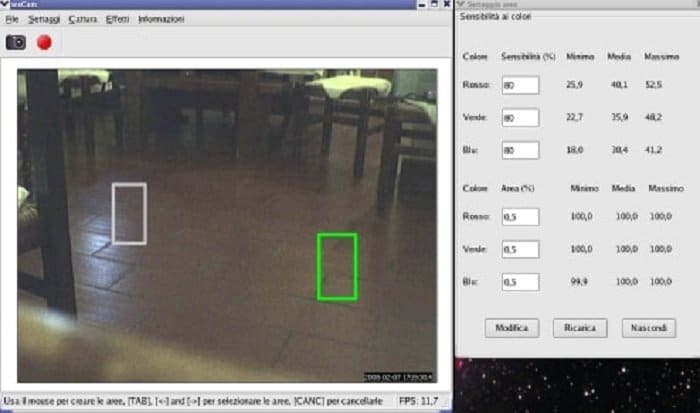 Kerberos is free and easy to use motion surveillance software for Linux enthusiasts. This open source program is compatible with the most cameras and works fluently for the users. This Linux nvr software is also adaptable in Windows and OS X operating systems. It has a simple and clean interface. 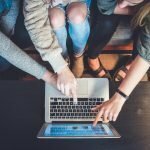 Anyone can easily work on this user-friendly environment. 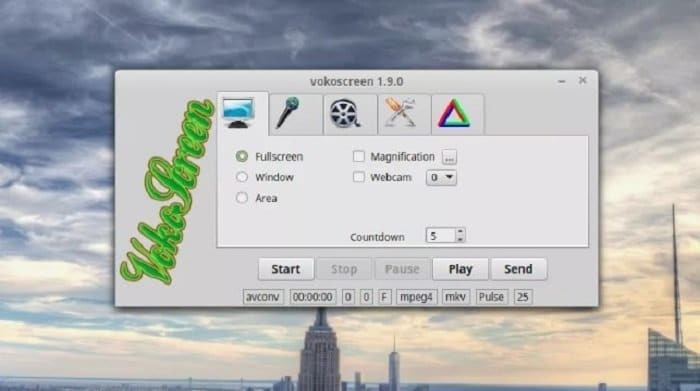 VokoScreen is a minimalist Linux camera software and screen creator. It can easily zoom in and out efficiently and can capture images and videos as well. It has a simple and attractive interface which can gain users attention at a first look. VokoScreen supports different video formats to play after recording the video. It also supports webcam preview and the delay timer. Contaware ContaCam is a user-friendly open-source video surveillance software to capture manual records and images. This Linux security camera uses motion sensors and it can send the files using email or FTP. It runs on both Windows, Mac, and Linux platform. It works as a live webcam and able to show daily history video. 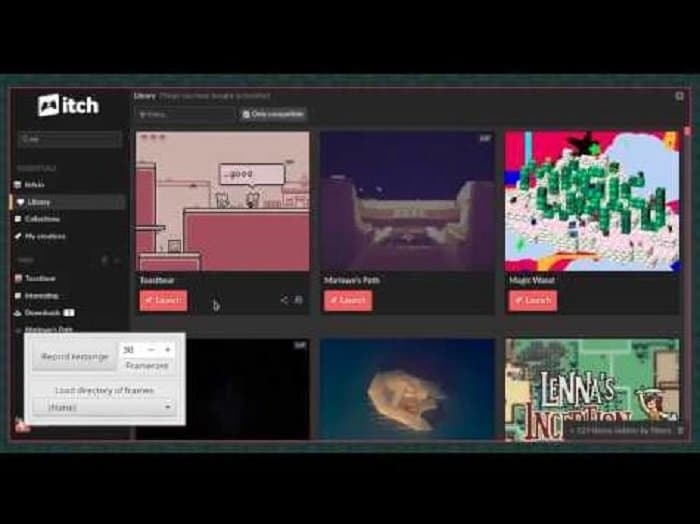 Gifine is simple and easy to use Linux camera software that helps to record and capture videos and short gifs. After exporting the file, it has the ability to edit and trim any gif file. With the help of Gifine, you can quickly remove a frame when it is unnecessary. This open source program is built with leafo and run under MIT license. 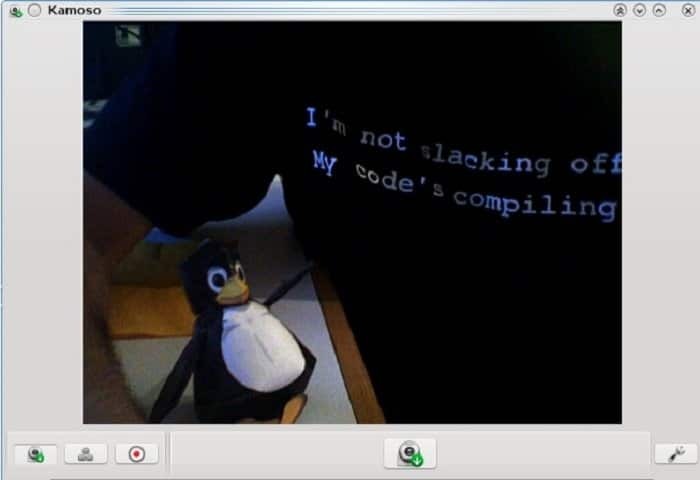 QtCAM is an open source program known as a popular Linux webcam software. It is a free application and anyone can modify it under the terms of GNU General public license. It has a user-friendly interface developed by e-com systems. QtCAM supports most of the image types like JPG, PNG, RAW, and BMP. Users can easily adjust brightness, contrast, and supported UVC controls as well. Clight is a lightweight Linux camera software that enables changing screen backlight level to match ambient brightness. It is an open source program and the script is written in C. Clight has a lot of features with a very interactive user interface. Several transitions like gamma, dimmer, and backlight are available in this tool. Well! I am at the finishing line of finding the best Linux camera software for you. Hopefully, you have got some significant resources including Linux webcam software, Linux IP camera viewer, Linux CCTV software, and Linux video surveillance software. I also added some tools to work with Linux security camera software too. Now, it’s up to you to select the proper one as per your demand. Do you think something is missing apart from the tools I shared? Which one do you like most? Please share the information to the audiences who are also Linux enthusiasts like you. I believe in building a network where all Linux users can get help and resources. Feel free to share your thought too. Till then, have a cool time! Thanks I have been considering setting up a CCTV surveillance for our rear access. This has given plenty to look into. Thanks! Many cool applications that are new to me. Also worth to mention; the Network Optix Nx Witness Video Management Platform. Runs on Ubuntu (and Windows and MacOS). Also, the server application can run on ARM-based devices like the RPI. Excellent review of Linux cam. QtCAM is cool.